Anne Gilbert Chase and Chantel Astorga blasted their way up the Slovak Direct on Denali’s South Face last week, clocking the first female ascent of the route. 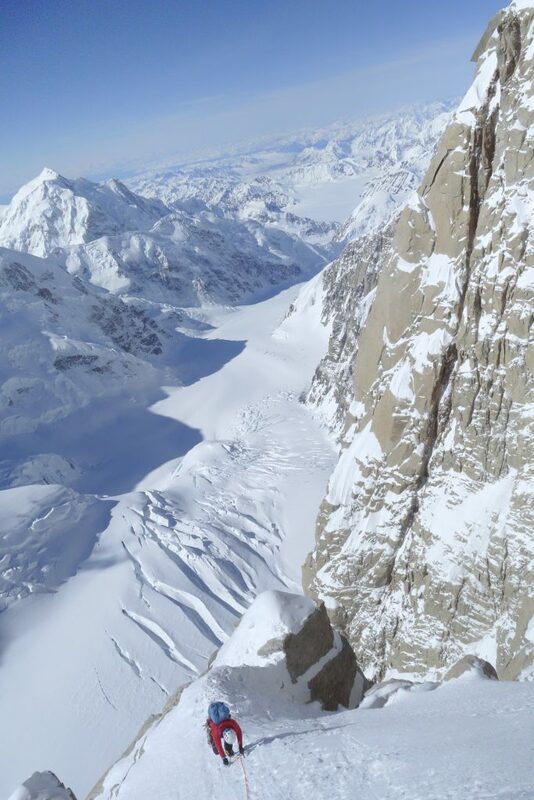 Two American climbers, Anne Gilbert Chase and Chantel Astorga, blasted their way up the Slovak Direct (VI 5.9X M6 WI6+, 9,000 feet) on Denali’s South Face last week, making the first all-female ascent of the route. The route was first climbed back in 1984 by Blažej Adam, Tono Križo and František Korl of (you guessed it) Slovakia. It tracks up the south face of Denali, to the right of the Cassin Ridge, and is known as one of the most difficult routes up the peak, which is North America’s highest at 20,310 feet. While the first ascent team took eleven days, the time has fallen fast. 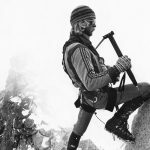 Steve House, Mark Twight and Scott Backes blitzed the route in a 60 hour ascent in 2000. In an American Alpine Journal article published in 2001, Backes wrote of the route, “It is the most direct line on the mountain and has 9,000 feet of climbing. The first 5,500 feet are a big wall; the last 3,500 feet are hiking—very steep, strenuous hiking. 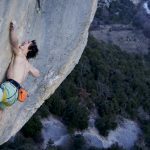 We were attracted to the route,” he stated, “because it was hard, beautiful, and unrepeated.” (At the time, the group was unaware that Kevin Mahoney and Ben Gilmore had made the second ascent in seven days, a mere month before them). Chantel Astorga leading into the main dihedral system with the steep ice pitches looming above. Photo: Anne Gilbert Chase. 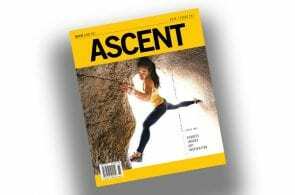 Yet the route had never seen a female ascent until now, and had only seen eight successful ascents in 34 years. From June 2 to June 5, American alpinists Chase and Astorga battled up the route which, according to Gilmore, consists of around “34 fifth-class pitches,” as well as more lengthy sections of alpine ice and moderate snow. Astorga gave Chase a call in the spring of 2016, seeing if she wanted to embark on an Alaska trip together. The pair had never climbed together before. “She was interested in the Infinite Spur on Foraker and I mentioned the Slovak,” Chase said. “We decided to give the Slovak a go, and in May 2017 we headed up.” Unfortunately, their 2017 attempt was fouled by poor weather. 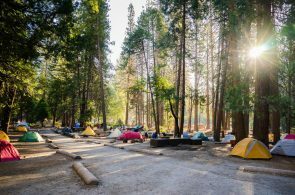 “We finally got a short break in the weather in early June,” Chase said “and decided to give it a try. The weather window was definitely not perfect and it had the potential to improve or totally fall apart.” The pair climbed for around a day and a half, and had made it nearly 3,000 feet up when the weather totally closed off. “We were forced to retreat,” Chase said. “Then the weather continued to deteriorate, and so we made the decision to bail.” Undaunted, once the pair had safely made it off the route, they decided to come back in 2018 and give it another shot. They summited June 5. “The Slovak is truly an amazing route in terms of beauty, technicality and enjoyment,” Chase wrote. “It has it all for a big alpine route. Hard mixed climbing, steep ice climbing and lots of deep snow wallowing. 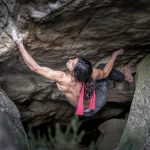 For me, climbing the Slovak Direct was a very big goal and now that I accomplished that goal it feels really good. “It definitely holds a special place in my heart,” she said. Chase and Astorga on the summit of Denali after climbing the Slovak Direct. Photo: Ian McEleney. 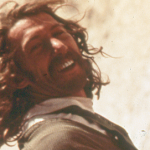 No stranger to hair-raising first ascents, Astorga and Chase have climbed all over the world. 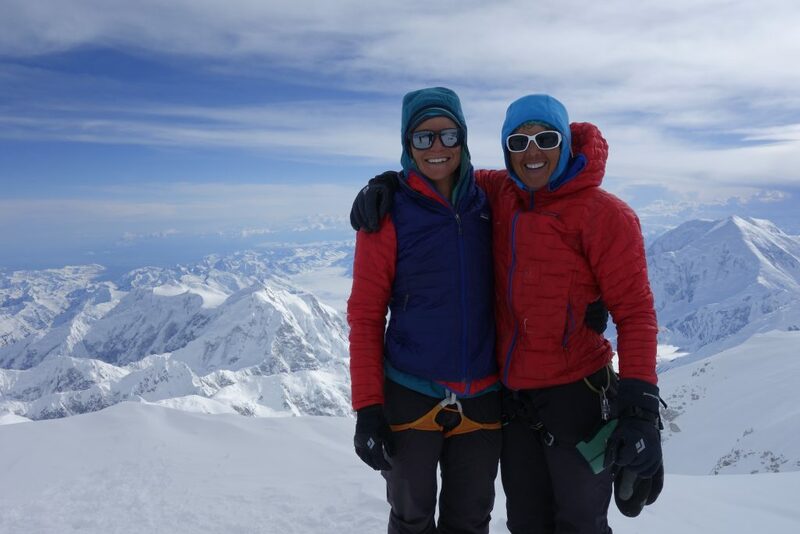 Both women have numerous Denali ascents to their name, and both guided on the mountain for a period of time. 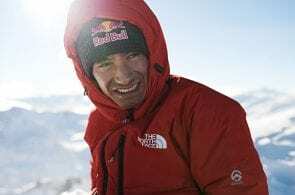 Chase has climbed on many remote peaks in Patagonia, and Astorga has come close to a sub-24 hour solo Nose ascent, and held the women’s solo record at 24:39 until Miranda Oakley broke it in 2016 with her time of 21:50. 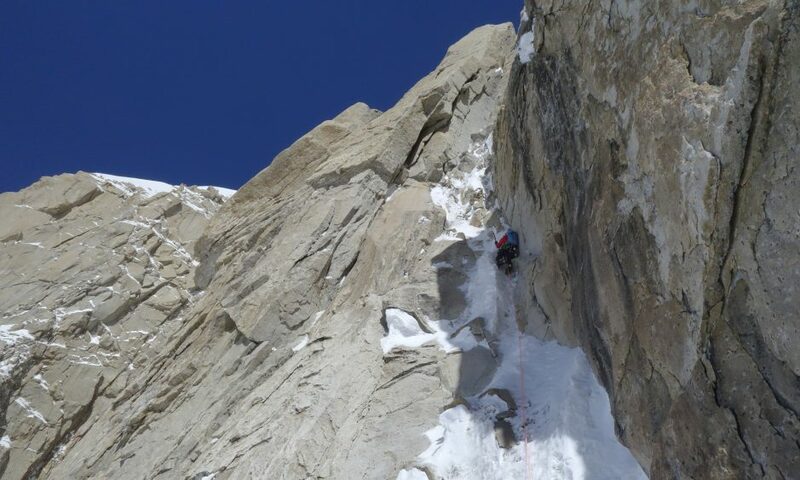 Just last year the two women, along with Chase’s husband Jason Thompson, made the first ascent of the southwest face of Nilkantha (6,596 meters/21,640 feet), a route they named Obscured Perception, in the Garhwal Himalayas of northern India. Astorga’s account was published in the American Alpine Journal and can be read here. Chase is a nurse in Bozeman, Montana, and Astorga currently works as an avalanche forecaster in Idaho. Yours was only the ninth ascent in over thirty years. Obviously, it’s known as a difficult route, but is there any reason in particular why you think there have only been nine ascents via the Slovak Direct? In all honesty I don’t really know. I think it is an amazing route and I think it should be on any alpinist’s hit list. But in all reality, besides the West Buttress and the Cassin Ridge, there has been very little climbing on Denali. I think the majority of people just want to climb to the summit of Denali and the West Buttress is the easiest route to the summit. Any of the routes on the South Face are very big and committing routes that require a large skill set and a large time commitment to acclimate and get the weather window. I think a lot of people are not necessarily willing to put in that much time and effort. But who knows, maybe the Slovak will start to become en vogue again and more people will want to climb it. If the Slovak Direct isn’t the hardest alpine route you’ve done, what is? I think the Slovak is the hardest alpine route I have done. Our climb in India, would be a close second. But the climbing on the Slovak is very sustained and quite steep as well. Alaska is also a very cold place and we had temperatures consistently in the negatives, which makes taking care of yourself very difficult. 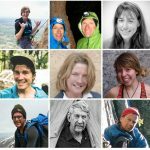 How would you describe the climbing in the Alaska Range compared to the Himalaya, Patagonia, etc? I think the Alaska Range is in a league of its own for climbing, mainly because of the altitude and cold, but also because of how vast the landscape and how big the scale is. We had the entire South Face to ourselves for three days and it wasn’t until we summited that we saw people. I feel that in today’s climbing world it’s pretty amazing to feel so “out there” on such a busy mountain. I have spent a few seasons down in Patagonia and the granite and climbing is amazing. The weather plays a big role in Patagonia as well because of winds and big storms, but it is not as cold and definitely not at altitude. It has also gotten very busy down in Patagonia and most of the trade routes have people on them and feel busy. I have pretty limited knowledge of the Himalaya, only having done 2 trips there, but again we had pretty mild temps while climbing in India. The Himalaya’s definitely feel wild and untouched. What was the hardest pitch of the Slovak Direct? Oh man, tough question. There are a lot of hard pitches that feel pretty difficult due to conditions, cold, altitude, carrying a heavy pack and being tired. But there are two that stick out in my mind. The final WI6 pitch was extremely hard due to conditions. It was a dry year in AK and since we climbed the route early, the ice was not in as good of conditions as it typically can be. The last ice pitch was overhanging and the ice was very bad. This made for very difficult climbing. Also, the very last technical pitch on the Slovak was super hard. 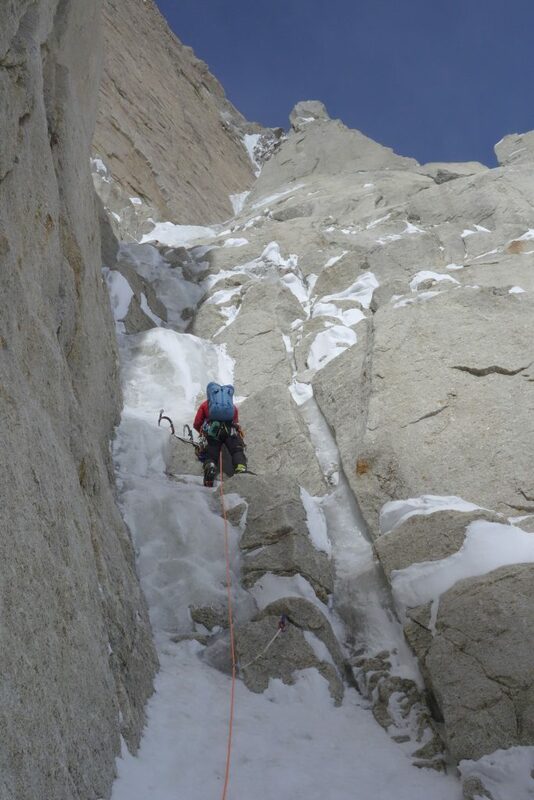 We did not find the right exit corner and ended up climbing a very steep ice and mixed corner. On top of the difficult climbing, we were in the middle of a pretty intense storm that was snowing and spindrifting on us. We were very cold and had little to no visibility and were at the end of an 18 hour day. Did anything go south at any point during the climb? In all honesty no, things went pretty smooth for the most part. I think the storm at the end of day three was the worst. It was probably -18 or so with wind chill and it was snowing hard with lots of spindrift. We had been going for 18 hours or so and were pretty exhausted at this point. There was not good place to bivy where we were. We just had to really dig deep and keep going to find a safe place to bivy. What was the first thing you ate when you got back? When we made it back to basecamp after the climb and were getting ready to fly out, we had stashed a few beers and a bag of salt and pepper chips. We sat on the glacier around 11:00 p.m. drinking beers and eating chips, super happy and content. Once off the glacier I had more beer and finally a salad. Fresh veggies after a month on the glacier is pretty amazing. Right now I am pretty excited to wear flip flops and go rock climbing at home in Montana. But I am working on a planning a rock climbing trip to Iran in August. We are still in the planning phases and are working with the government to see if it can happen, but I think it would be a pretty amazing experience to go check out Iran and the culture there.